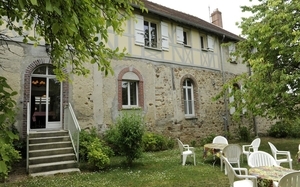 Michèle, retired farmer, will welcome you at the Ferme de Saint Laurent situated in the heart of Nogent sur Seine.On the ground floor: a family bedroom for six people. 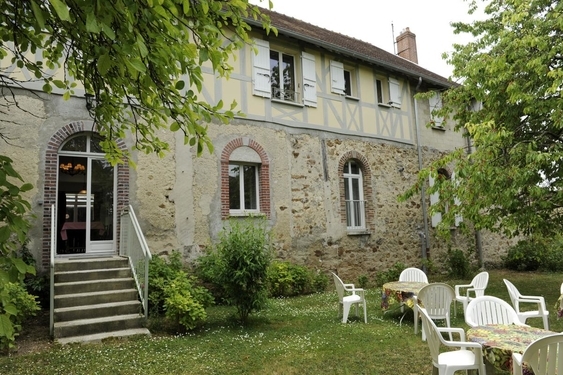 On the first floor: a double bedroom and two triple bedrooms. Hearty breakfast served in a room overlooking the garden. A kitchen is at your disposal. The house is accessible to mobility challenged persons. Many shops and all sorts of services available. TOURIST ATTRACTIONS: the medieval citadel of Provins at 18km, the Château de la Motte Tilly at 5km, the Abbey of Paraclet at 5km. Guided tour of Nogent sur Seine. Camille Claudel and G. Boucher museums. Nuclear plant close by.